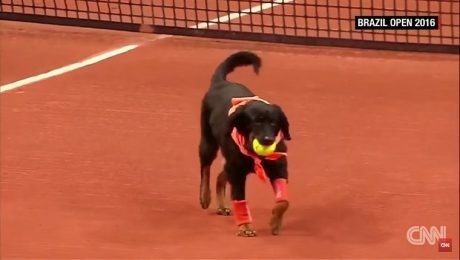 Four former street dogs from a local shelter helped retrieve tennis balls at the Brazil Open. The audience was thrilled to see the adorable ball boys. 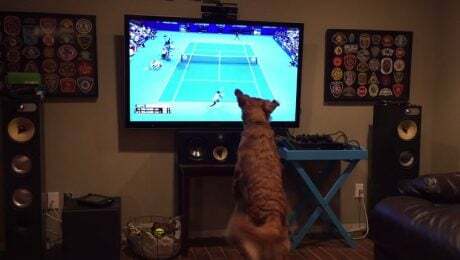 George the Golden Retriever couldn't be more excited to watch the tennis match between Venus Williams and Serena Williams.